It's that time of year again when we're starting to transition out of the winter uniform, gradually starting to show a little more flesh which is a terrifying prospect for those like me who's skin hasn't seen the light of day for a good four months. 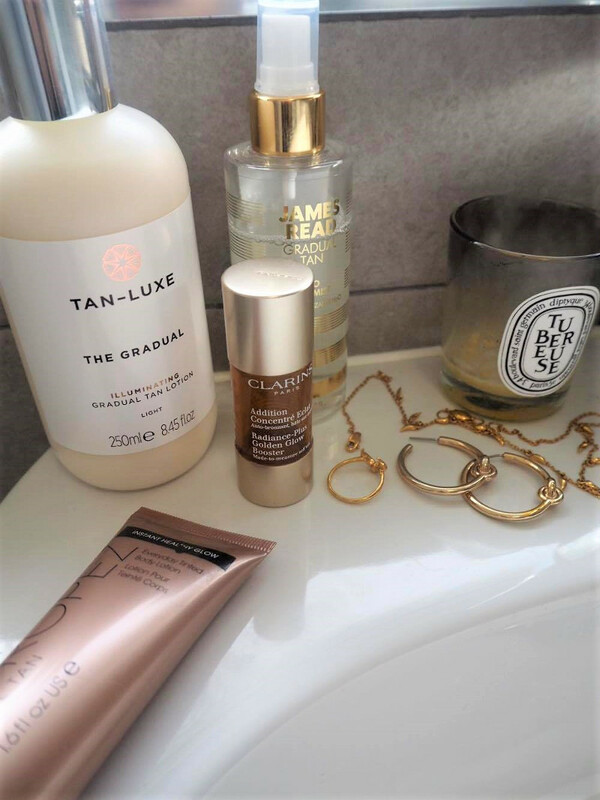 Struggling to pull off the 'pale and interesting' look, turning to some trusted products for some extra help to bring my skin back to life is made easy with these. Managing to avoid the Miss Hawaiian Tropic faux pas is usually at the top of my goals when it comes to tanning, along with the notorious streaky wrists and elbows. These are my go-tos when faced with above problem. 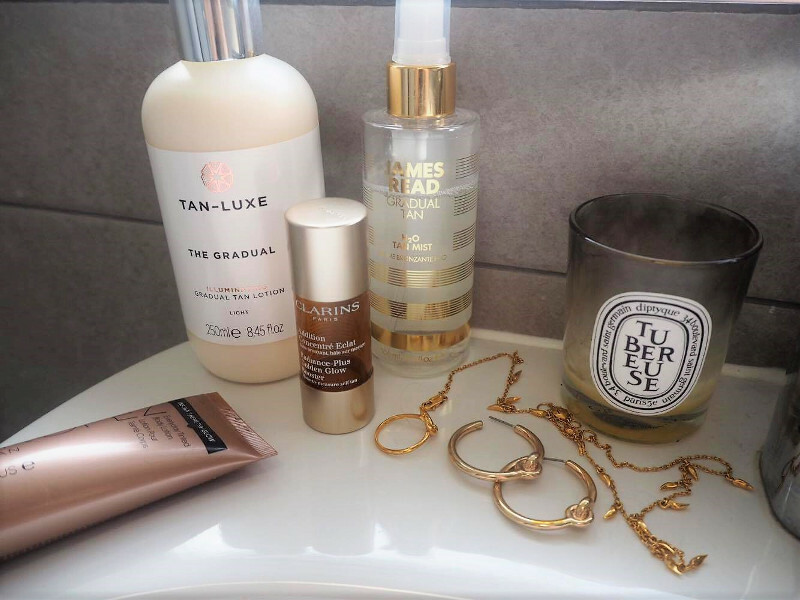 I've been meaning to try Tan Luxe for months now, seeing the brand feature all over the place, and finally getting round to picking up the Gradual Self-Tan in Space NK a few weeks back was a good move. I have to be honest, the scent of this product does unfortunately remind of me of a particular yoghurt drink and the consistency doesn't help much, but I've never been one to be that bothered by the smell of tanning products (I know the traditional biscuit scent can be a real dealbreaker for some..) and the results more than make up for it. Despite the name, it's more of a liquid than a lotion with a silky, glide-on texture, which actually makes it easier (and less time-consuming) to apply and dries pretty quick too. There's only one shade to choose from and I'd say it's on the darker side (even though it's called light), so for fairer skin it's a case of being careful on the danger (streak) zones. 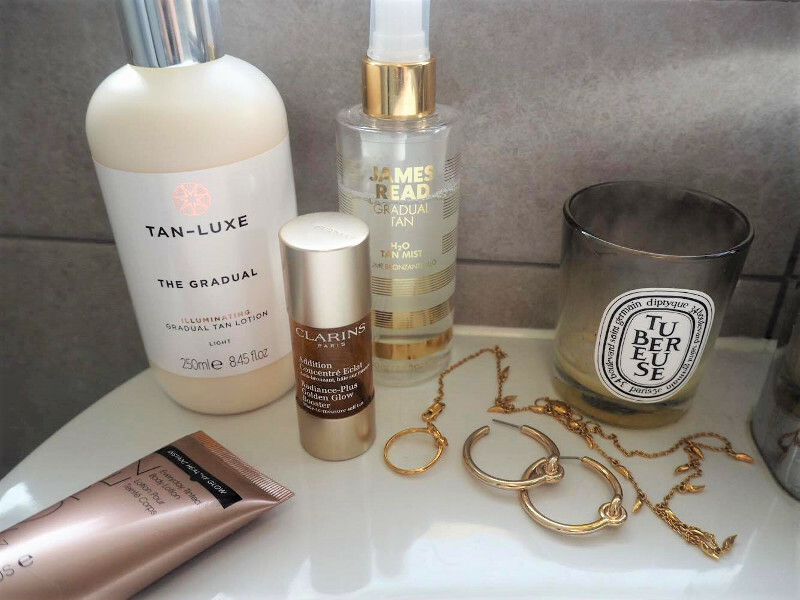 I find it a lot darker than, say, St Tropez Gradual Tan in the light shades. When I first tried this, it was a sigh of relief waking up in the morning not the wrong shade of orange but a naturally subtle brown-y glow. I'm reluctant to use it on my face too often for above reasons but for body, legs in particular, I won't be reaching for anything else for the time-being. I've been using the H20 Mist for about 2-3 months intermittently, and given it's about the same volume as Tan Luxe, it's barely gone down at all. The amount of control you have over application with a spray is limited, but the formula of this mist is not one to go streaky or leave patches on your skin; I frequently use it on my face and neck quite freely, as well as my body, which just goes to show how confident I am in it's magic. It is infused with 'skin beautifying' minerals, and rose water, so the scent is quite floral but pretty subtle. I'd use this one for a top-up rather than when starting from scratch. Only having the travel-size version of this, I haven't tried it all-over, but I been have using it on my face time and time again over the last month. The shade is naturally brown (not orange), glowy and the kind of tanned shade you can get away with during March (!) without looking too suspicious. 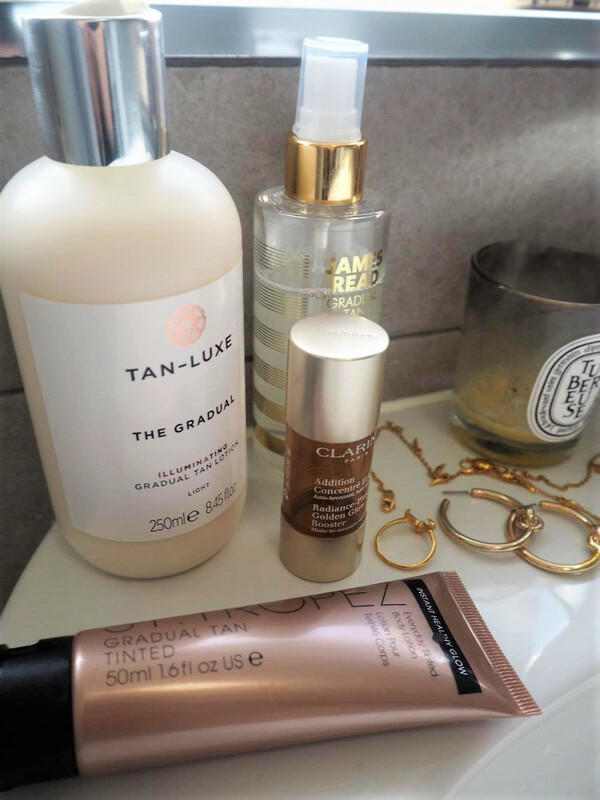 A friend recommended this to me a while back, and I can see why it's been so popular; probably one of my favourite St Tropez products (and I've tried quite a few in my time!). A little pot I've raved about time and time again, mainly for the fact that I can't fault anything about it. 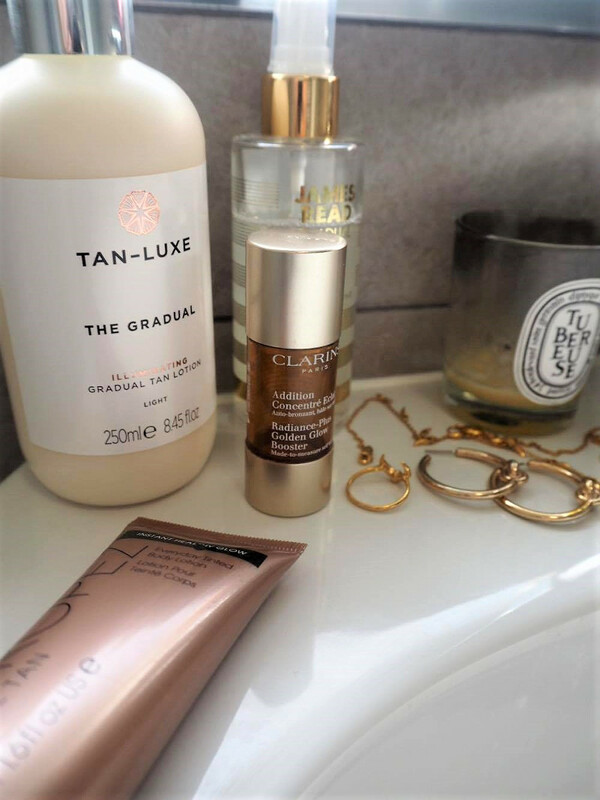 A couple of drops in moisturiser or serum a few times a week is more than enough to maintain a natural, sun-kissed glow that makes the appearance of your skin so much better (and the no-make-up days less daunting). 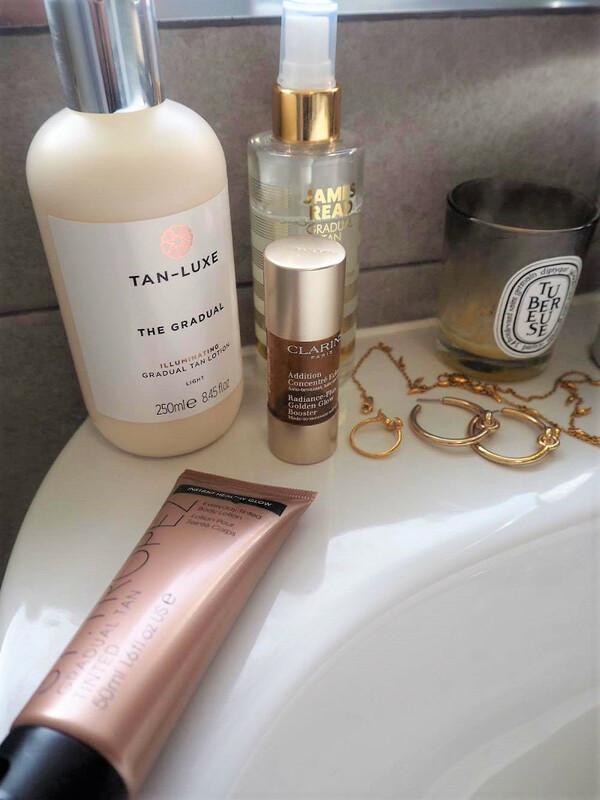 This was the first face-orientated tan I trusted in effortlessly brightening (and darkening) my complexion, whether it be topping up a tan or creating a non-existent one.